« The Redcoats are Coming! Partly because I AM one, and partly because I’m in the home stretch of my PhD in Christian Women’s Studies (ABD! ), any Christian book about womanhood catches my attention. So, when I saw Women Living Well: Finding Joy in God, Your Man, Your Kids and Your Home, by Courtney Joseph, I decided to have a look. 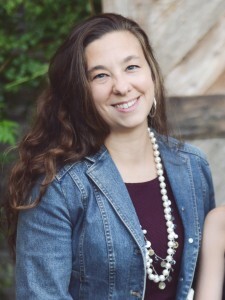 Courtney Joseph is a homeschooling mom who founded GoodMorningGirls.org–an online Bible study forum for women. Personally, I have mixed feelings about the content of the book. Courtney has done a great job of appealing to Christian women today by focusing on the hotspots of God, marriage, parenting, and homemaking. For each topic, she includes a timely section on how the media (especially social media) plays a part in how these areas play out in our daily lives. For the most part, the book is based on biblical principles and clearly has the aim to draw women closer to God. I do want to point out some areas that I found troublesome…but, before I do that, I want to be clear that, though I may disagree with some of Courtney’s ideas, I have to wholeheartedly support her as a Christian woman who is doing her best to do what she believes God has asked of her. God doesn’t say that we always have to agree…but we do always have to love one another! That said, I found the book to be equally encouraging…and discouraging. Though she constantly claims that she doesn’t have it all figured out and has her failings, Courtney presents herself and her husband as the perfect, godly couple. The book is filled with stories about her life. She has a prayer closet set up in her bathroom, gets up early, brings her husband drinks, etc, etc, etc. There is NOTHING wrong with any of these things (and I would so love to have a prayer closet–even if it is in my bathroom! lol)–but despite all her warnings about how every family is different, she’s clearly set herself up as the perfect example to follow–after all, she reminds us more than once that she’s been asked many times to allow television crews to film her family! Unfortunately, everyone’s life is not like hers. Most women’s biggest problem is not her toddler running around on the beach during vacation or whether or not her husband eats the breakfast she’s cooked for him. Rather, it’s not having enough money to pay the bills, trying desperately to save a house, a marriage, children. For someone who’s been through some real turmoil…a lot of the book may just seem a little whiny. Many moms just need to be reminded that it’s ok! As one of my wisest friends told me over and over again when my kids were little–“this is just a season, Karen.” Having little ones running around is not going to last forever. It’s ok if you don’t have prayer time all to yourself every single day–or if that prayer time happens to be during your morning walk or while you’re doing the dishes or eating breakfast! God will meet you where you are! He’ll speak to you through Sesame Street and working in the garden, through changing diapers and even through street signs. Despite the areas where I personally took issue with the book, I did find some great information. Courtney has some wonderful tips for managing social media and not letting it become the center of our lives. She also includes some nice practical tips–I really love her menu plan (Mexican Mondays, Tomato Tuesdays–Italian, etc), and, while it doesn’t work for me, her schedule for house cleaning is one that many women I know use and love. The best part of the book is the focus on walking with God through everything. It’s clear that, though we disagree on some of the smaller issues, this one is the most important and one on which we are in agreement. Seeking God first in all areas of our life will help to bring contentment and JOY, despite our circumstances. In the end, I have to say that the book was just so-so for me. There were some great ideas, and Courtney’s heart is in the right place. Though I don’t agree with some of her reasoning, I support Courtney’s choices because she’s made them out of a love for God and out of an effort to serve Him. In a lot of ways, this was an easy book to read–it’s well-written, well-organized, and contains some great nuggets from the Bible, but I finished it with a sigh of relief–glad I was finally done with it. I’d love to hear what you thought of the book! PS I received a free digital copy of this book from Booksneeze in exchange for my honest review.